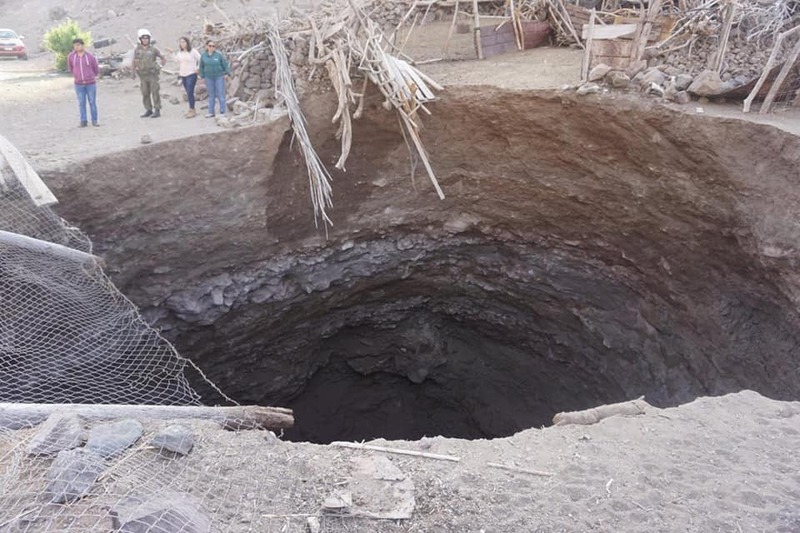 Residents of Quebrada Las Cañas, Chile, were left terrified after a giant 11 meters in diameter and 17 meters deep sinkhole opened up following the M6.7 earthquake of last weekend. 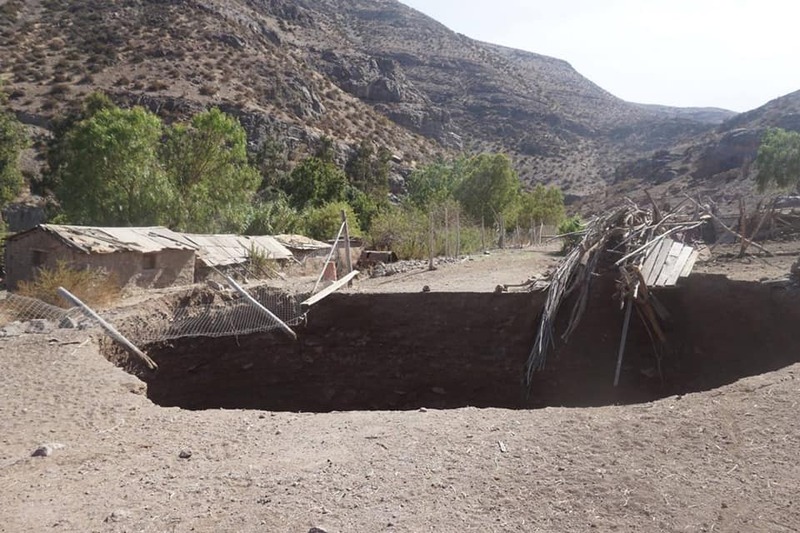 The gigantic crater swallowed up a house and 9 farm animals. 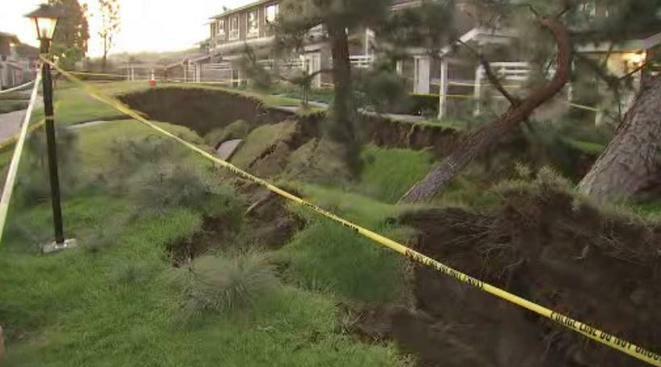 In the meantime, a sinkhole estimated at about 80 feet long opened up between two condominium complexes in La Habra, L.A., forcing evacuations. Residents at a La Habra condominium complex say a loud sound late Wednesday, January 23, 2019, made them brace for a strong jolt from an earthquake – but the shaking never arrived. Instead, they looked outside after hearing the jarring sound to see the ground had collapsed. 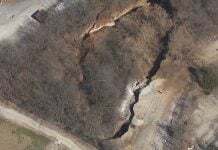 A sinkhole estimated at about 80 feet long opened up between two condominium complexes. Firefighters responded about 10:45 p.m. Wednesday to the 900 block of West Imperial Highway and located the sinkhole, according to the Los Angeles County Fire Department. 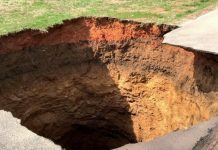 Residents of Quebrada Las Cañas, Chile, were left terrified after a giant 11 meters in diameter and 17 meters deep sinkhole opened up following the M6.7 earthquake of last weekend. 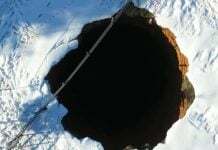 The giant hole measures 12 meters in diameter and 17 meters deep. 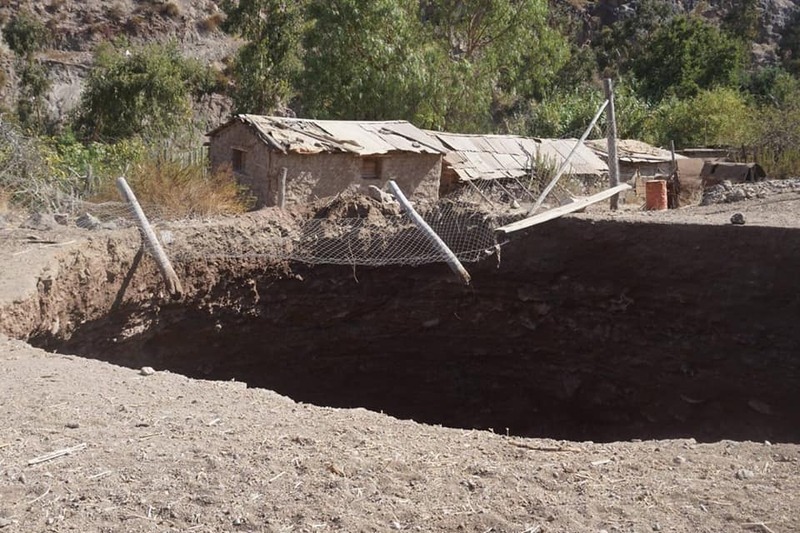 This sinkhole in Chile swallowed up a farm and 9 animals. The sinkhole opened up after the M6.7 earthquake last weekend. 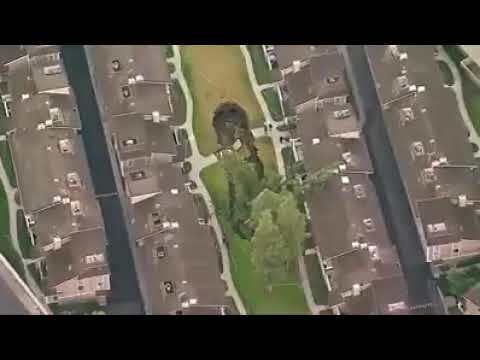 The gigantic crater swallowed up a house and 9 farm animals. Our Earth is crumbling down! Processus de régénération de la planète X, ou comète. c’est dangereux pour la vie sur terre . Partial Government Shutdown ends, and Government Partial Opening starts and ends Feb 15. WASHINGTON, D.C. — President Donald Trump says he’ll sign legislation shortly to reopen shuttered government departments for three weeks — until Feb. 15. Is this the sign that a big even might happen soon? The Bible said God will show us some sign for the Event. The magnetic North Pole in North Canada is disappearing, and the one in Siberia remain as new Magnetic North Pole. So basically this year, the Magnetic North Pole moved or jumped from Canada to Siberia. This means the axis of the Earth will be moving, and the Earth has started wobbling because of the change of the rotational shift. The Magnetic North Pole is moving toward China. It looks like it will not stop at Siberia. It keeps moving toward China. MORE PRELIMINARY CATASTROPHE SIGNS – OVERWHELMING EVIDENCE MOUNTS! This video creator, she denies UFOs and Direct Energy Weapons. And she promotes “Flat Earth”. You do not need to believe her that everything is happening because of plasma, but it is interesting to see the phenomena in her video. Especially fire coming out from a manhole from underground is very interesting. Reptilian Secret Underground Base in in fire in many places. I am sure she denies the existence of Reptilians. Then she herself might be a Reptilian. Today, there are so many quakes around the Long Valley Caldera (super volcano) in California. à un rythme accéléré ainsi comme le soleil elle va se transformer en un mort céleste. partout sur la terre. le monde doit se préparer à affronter les événements dramatiques qui vont se produire. Les 6000 ans sont passés et maintenant la vie sur Terre se termine.